Ultra-Chlor is a fast dissolving, stabilised chlorine with a close to neutral ph, which reduces acid demand. Chlorine Feeder Buddy is a long lasting chlorine floating dispenser. 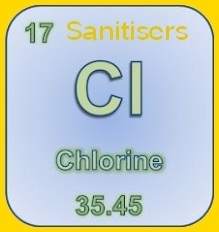 Chlorine Pills 8's are long lasting, stabilised chlorine with 90% available chlorine. Granular Chlorine 458 is a fast acting, quick dissolving, low residue unstabilised chlorine.